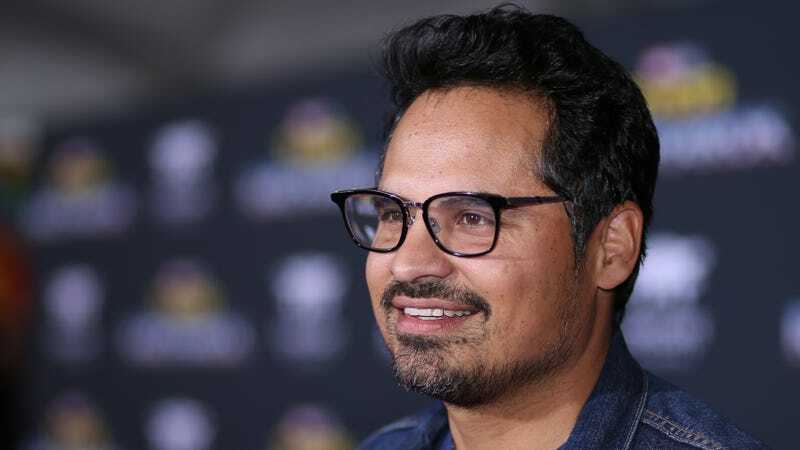 For the second time in a little more than a year, a movie studio has abruptly dropped a Michael Peña movie. Last time it was The Bringing, a movie that seemed kind of exploitative and never actually got filmed. Now it’s Extinction, which presumably did get filmed and was even set to come out on January 26, 2018, but it is no longer on Universal’s release schedule. This comes from The Hollywood Reporter, which says Universal didn’t give any explanation for pulling the movie, leaving us to offer baseless speculation on why this has happened. Perhaps Universal accidentally taped over all of the footage with the big football game? We have no idea. Extinction was directed by Ben Young and it stars Lizzy Caplan and Mike Colter along with Peña. THR says that it’s a thriller where “a man must save his family from an otherworldly phenomenon,” but that doesn’t tell us very much. Perhaps the otherworldly phenomenon was that Peña’s character was supposed to hold on to the hard drive containing an upcoming movie, but then a ghost appeared and stole it? Either way, the movie isn’t coming out on January 26 anymore.